1. 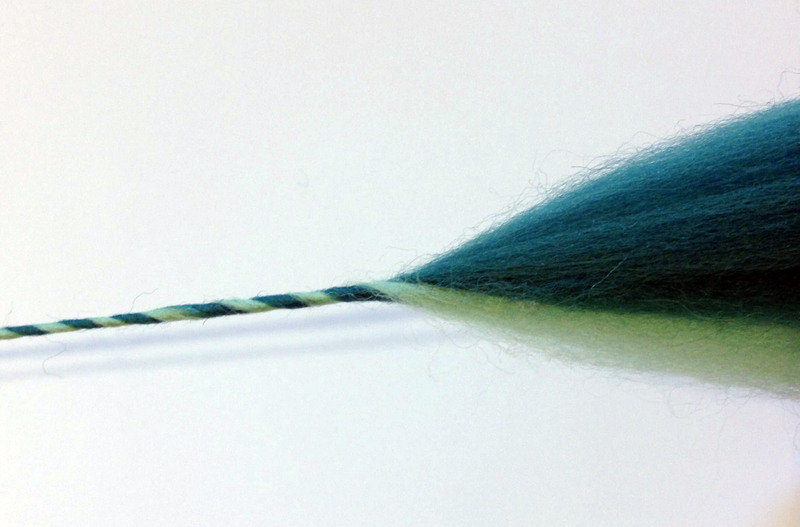 Spin a two-color single: Create a truly unique yarn by selecting two complementary colors of dyed fiber to hold together as you spin a single! You may wish to use the resulting yarn as-is - we recommend a slight felting process to give it added strength, creating what is known as a supported single. Or, you may choose to ply with a solid-color single which either matches or coordinates with your two-color single to create a variegated, tweedy yarn! 3. Mix & Match Your Singles: If you have a lot of natural-colored fleece and fiber and you don't want to dye the resulting yarn, try plying your natural-colored single with dyed single to create a marled effect. 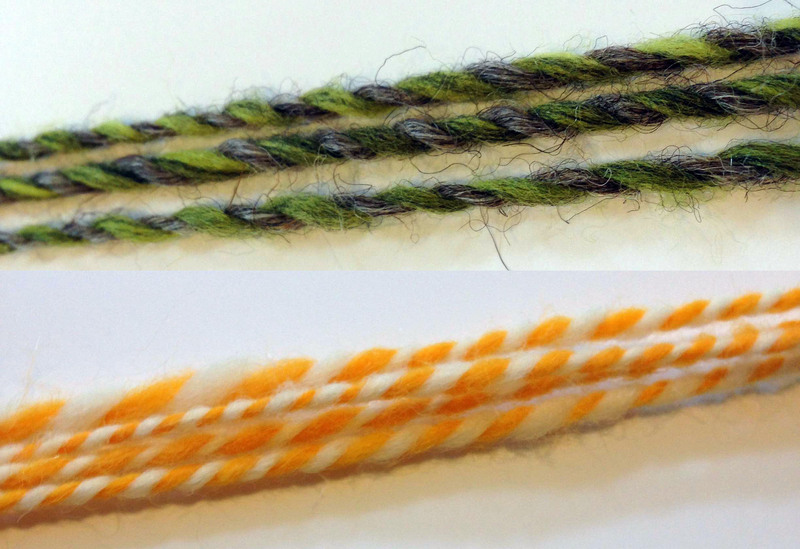 In the top example, a natural brown single is plied with a dyed single similar in value for a subtle tweed effect; in the bottom example, a natural white single is plied with a brightly-colored dyed fiber for a fun barber-pole effect. We look forward to a colorful, fibery spring - thanks for joining us!